Highly recommended and the best Adsense alternatives for new bloggers or who have no Adsense account. 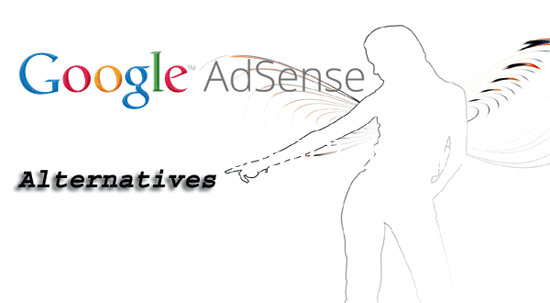 An ultimate guide to fresher about the Google Adsense alternative for making money blogging. If you are new in blogging, then this Adsense alternative platforms will be very helpful for you to earn money from your blog website. Before starting my blogging career, I approved the Adsense and I got a fully approved Google Adsense account. Because I worked as a web designer. There were many sites in my hand. I chose a site of Hospital to get Google Adsense quickly. But, this site was only 2 months old. Before crossing the 3 months, I applied for a Google Adsense account. Because, this site was a self-hosted website – build with HTML and CSS, this site had unique content, unique design, SEO friendly, amazing white and sky color. But, Google did not approve my site when I applied for the first time. I applied more than 3 times for my Google Adsense Account. When I applied for the first time, they gave me the email like this: “Thank you for your interest in Google AdSense. Unfortunately, after reviewing your application, we’re unable to accept you into AdSense at this time”. Issues: Insufficient content. To be approved for AdSense and show relevant ads on your site, your pages need to have enough text on them for our specialists to review and for our crawler to be able to determine what your pages are about. To solve this issue, I added more content to this hospital site. I created several pages and a big sitemap. When I applied for the second time, the Adsense team gave me the message like this: Contact address incorrectly, incomplete or not provided: We’ve found that the account information provided on your application is incorrect, incomplete, or missing. Issues: Contact address incorrect, incomplete or not provided. I solved this problem, I added my postal address, including email ID into the “Contact us” page. Please use the same email ID into the “Contact us” page and Adsense account to approve your Adsense account. Your AdSense account is now fully activated. Within a few hours you’ll begin to see live, relevant ads, and can start earning money from your online content. In the meantime, get started with a few payment setup steps so you’ll be ready to receive your first payment later. I recommend you for reading my article about: How to get Adsense quickly? I also recommend you for reading the terms and conditions and privacy and policies of Google Adsense. Revenuehits (http://www.revenuehits.com/) Contextual & Geo targeted Ad Serving technology. Infolinks (http://www.infolinks.com/) INNOVATIVE ADS POWERED BY INTENT. CLICKSOR (http://www.clicksor.com/) Clickable text or targeted contextual banner Ads. Chitika (https://www.chitika.com/) real-time bidding platform. Note: No, need to find more Ad networks. Because have given trusted sites to you. So friends, don’t lose your time. But, if you want to apply for an Adsense account, then remove all the Ad codes from your site before applying. Otherwise, your Adsense account will not be activated. I think, there are no alternatives to Google Adsense. Because Google Adsense is Google Adsense in a word. How to improve RPM in Google AdSense Earning?